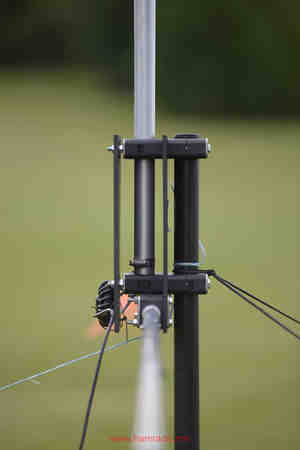 Tube and feed side of asymmetrical hatted dipole antenna. I agree it is not optimal. If it isn’t obvious, the above hack is electrically very sound, but was attached to a spare piece of plastic quick fast to get something working soonest. After ordering some more AHVD parts I decided to order an extra hub panel and use that as a choke/toroid mount. Having the same hole pattern, it simply fastens to the four bolts holding the vertical element so long as you make them long enough. I wound a new toroid with RG58 using Jim Brown’s choke recipe for 20-10m for use with this experiment keeping the original RG316 for ultra-portable operation. The following photos tell the story better than words. 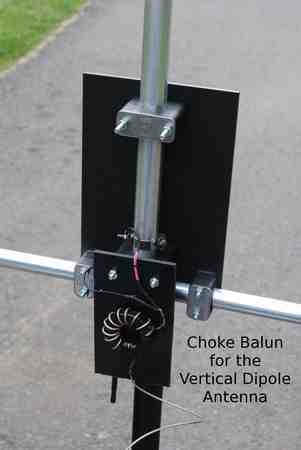 Additional plate as choke mount. Nothing hanging down anymore. Yes, one nut is missing, but 3 out of 4 isn’t too bad right? Side view of the twin plastic plates. 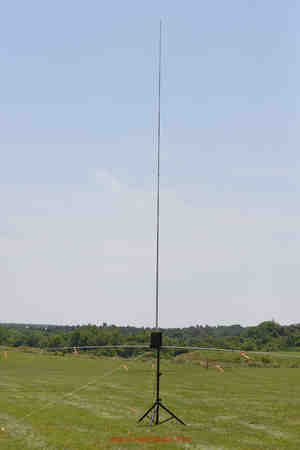 The portion marked AHVD is the original antenna hardware and is fully tensioned to hold the vertical and speaker mast together. The balun plate on the left is fastened loosely to the protruding bolts with additional nuts and is merely making good use of the handy mount points. For portable operation this enclosed little space between the plates shouldn’t be too much trouble. I can see where insects might nest in here given enough time. 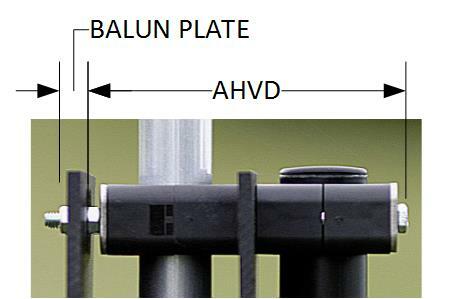 Different balun, but same ole AHVD. Once again the Asymmetrical Hatted Vertical Dipole worked very well on the Get on the Air (GOTA) station at our Field Day site. We set the dimensions for 17m so we could use the radio’s matcher to tune up 20m and 15m. 10m was possible as well, but we have another antenna for that band. This plan worked well. 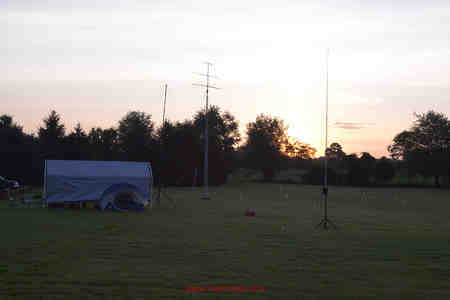 AHVD part of the Field Day antenna farm. Another successful test of the AHVD complete. By the way, there is no reason why a remote tuner can’t be bolted to this extra AHVD plate to alleviate the need to re-dimension the antenna for each band. 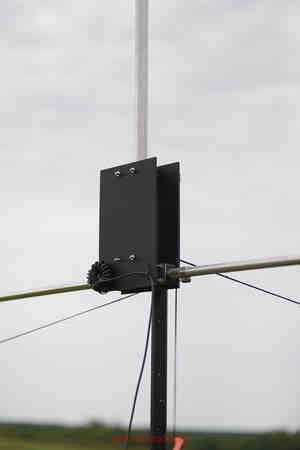 If you dimension the AHVD to 17m or 15m, the tuner should have no trouble from 20m – 10m with decent antenna patterns as well. Details will flow in a future article.